Approximately 50,000 strong work force are putting their combined effort in achieving their target production. Ha-Meem is equipped with the state of the art machineries to keep in pace with the industry. Installed capacity of over 4 million meters per month. Ha-Meem produces yarns from it's own Spinning Mill with a capacity of 44 tons per day. It also has piece dyeing and yarn dyeing facility. A premium facility with state of the art laundry equipped with the latest Italian machines. We have washing capacity of 300,000 pcs/day with all types of dye, over dyeing garments and complicated fashion washes. Manufactures it's own accessories like belt, twill tape, elastic, button, zipper, hangar, all kinds of paper and woven labels with full care. Ha-Meem Group, a Bangladeshi clothing manufacturer, is leading supplier of readymade garments and denim fabric in the world. 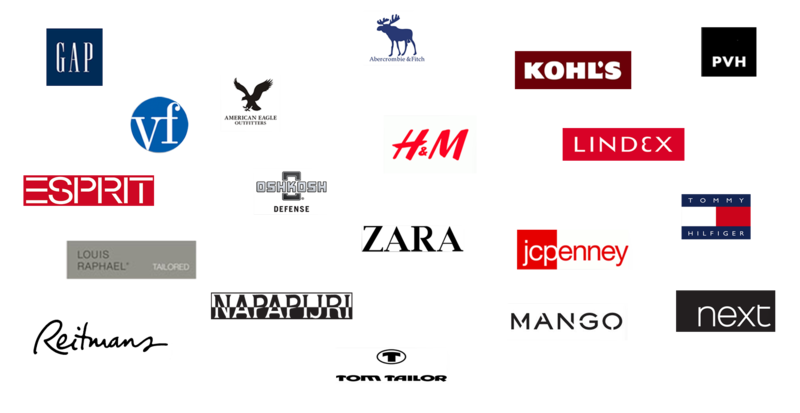 We are one of the top clothing companies in Bangladesh. The company produces some of the most fashionable denim fabrics and garment products and owns one of the most comprehensive and resourceful manufacturing facilities in Bangladesh. Ha-Meem Group has earned name and fame both at home and abroad as one of the top clothing companies in Bangladesh. The continuous growth of this group is moving forward hand on hand with the industrialization of the home country Bangladesh. Moreover we as a Bangladeshi clothing manufacturer have been contributing immensely in the financial growth of the nation. Ha‐Meem Group, one of the top clothing companies in Bangladesh exporting to USA and Europe for a long time. Because of our successful history with the world leading customers and buyers, we are the most valued and well reputed Bangladeshi clothing manufacturer. Company produces 7 million pcs of woven garments per month with the assortment of infant to adult in men and women. Today Ha-Meem Group employs around 50,000 workers and the company is equipped with 26 garments factories, a unique Denim mill, Sweater factory, Embroidery and Printing factory, Carton factory, Poly bag industry, Label factory, Jute mill, Chemical formulation plant, Tea Gardens, Transport company, News Channel and a national daily Newspaper. Its overseas office in Hong and China gives fastest support in procurement of fabric and accessories. Own C & F office in every Bangladeshi port gives privilege of quick clearing and forwarding support. Ha-Meem Knit will start within a year. It will have capacity of 10 tons composite knit which will be increased to 50 tons in phases. It will make all types of knit products like tops & bottoms for man, women and children. Ha-Meem Group has ventured into many industries in Bangladesh after it's inception. It has become one of the fastest growing Group of Company in the country. Our woven factories are equipped with 300 production lines in six different location. A dream project of Ha‐Meem group located in a serene surrounding of 100 acres. All the washing plants have dry process capability with required equipment. Two Sweater Units consisting of 400 Jacquard Stall (German) machines. M.H. Jute Mills Ltd., one of the growing industry of Ha-Meem Group. Ha‐Meem has a resourceful design team lead by experienced designers. Samakal, a popular & widely circulated national daily newspaper in Bangladesh. Channel-24, a very popular news channel covering news all over Bangladesh. Embroidery Factory, Printing Factory, Carton Factory, Poly Bag Industry, Label Factory. Annual Winner of Strategic Quality Assurance Dept. KOHLS. 2010. Annual Winner of Strategic Quality Assurance Dept. KOHLS. 2009. Technical Design Certification. KOHLS. 2011. Technical Performance Award. JCPenny. 2009. Ha‐Meem Group deals with some of the top world class Retailers and Buyers. Ha-Meem Group is a leading supplier of readymade garments and denim fabric in the world. The company produces some of the most fashionable denim fabrics and garment products. © 2018 Ha-Meem Group. All Rights Reserved.